FT827 is a selective and covalent ubiquitin-specific protease 7 (USP7) inhibitor with an IC50 of 52 nM. 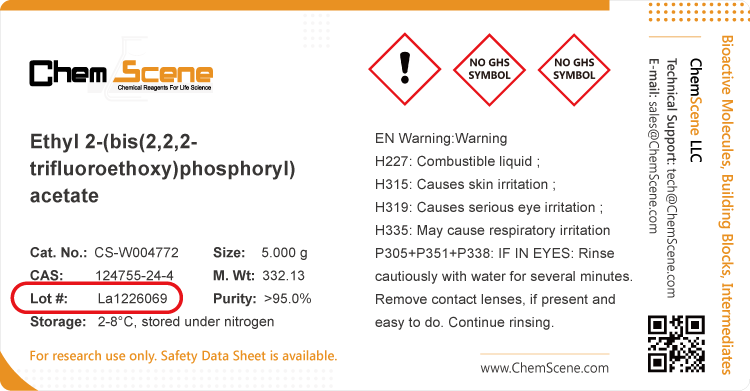 IC50 & Target: IC50: 52 nM (USP7) In Vitro: FT827 features a vinylsulfonamide moiety that covalently modifies the catalytic Cys223 of USP7 and inhibits the enzyme with Ki and Kd of 7.8 and 4.2 μM, respectively. FT827 exclusively inhibit USP7 in a panel of 38 deubiquitinases (DUBs) from diverse families. FT827 inhibits USP7 probe reactivity with IC50s of 0.1-2 µM, confirming 10 to 100-fold higher potency as compared to P22077 in crude cell extracts or with intact MCF7 breast cancer cells, followed by incubation with the ubiquitin active site suicide probe haemagglutinin (HA)-tagged ubiquitin bromoethyl (HA-UbC2Br). Kinase Assay: To determine compound IC50s, FT827 is diluted in 100% DMSO in three-fold 12- point dilution series from 100 µM. 100 nL of 100-fold concentrated solutions are dispensed into black 384-well plate. 25 nM ubiquitin-rhodamine 110, along with recombinant USP7CD (3 nM), or USP7C-term (30-125 pM, depending on batch activity) are added and the plates incubated at room temperature for 1 h. The reaction is terminated by adding 2.5 µL citric acid to a final concentration of 10 mM prior to measuring fluorescence intensity on a Pherastar with a 485 nm excitation/520 nm emission optic module. Turnbull AP, et al. Molecular basis of USP7 inhibition by selective small-molecule inhibitors. Nature. 2017 Oct 26;550(7677):481-486.